The Sweet Shop, at Heart of the Shires, is a traditional sweet shop in the heart of the Northamptonshire countryside. 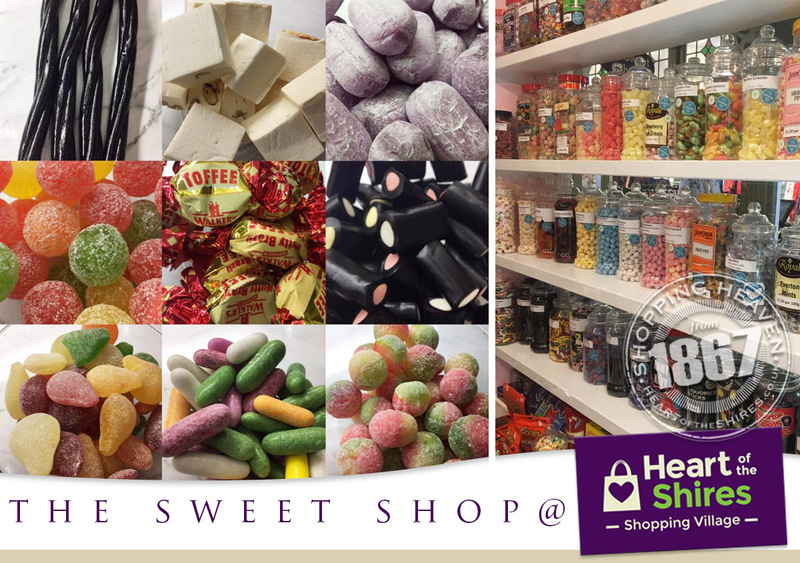 Providing a selection of weighed sweets, luxury chocolates and amazing gift ideas, The Sweet Shop offers an incredible range from familiar, family favourites to indulgent, luxury hand-made English and Belgian Chocolates. There is a tempting treat for every tastebud!